About 7 years ago, my friend Leslie and I stumbled upon a Taiwanese drama called "Devil Beside You" and I swear the course of our lives changed forever. I know that sounds crazy. How can a TV show change your life? Well, actually it kinda did. Because of that show we started watching more shows. One of them being "Full House" which stars the talented actor/singer/songwriter/dancer (the list goes on) Rain aka Jung Ji Hoon (who I adore) This was a Korean drama and ever since then Korea captured my heart and has yet to let it go. While I was in China I met a lot of people. I have friends from all over the world. It's kinda awesome. Our second semester in China consisted of learning Chinese five days a week. It was grueling but my classmates and teachers were pretty awesome. Most of my classmates were either from different countries in Africa or from South Korea. My South Korean friends and I bonded on so many levels. To this day, I know if I ever needed them they would be there for me and vice versa. One year my friend and I saved up enough money and we were able to go to South Korea. I had been waiting to go there for at least two years. When I say it felt like I was going home, I mean it. I felt like South Korea was my second home, just waiting for me with open arms. I know that sounds weird but I felt so at peace there. We had a great time with our friends. The friends we had made at school took us around Seoul and Incheon. Leslie's sister Lisa was teaching in Busan for the summer so we went to visit her too. We had a blast! I wish we could have been there longer but being there for two weeks was great! We had amazing food, visited amazing places and made some great memories with amazing friends. Of course we went shopping there! Everything in Korea, in Asia is sooooo cute! I felt like it was Christmas everyday there. I bought numerous things there but something I bought that I particularly loved were facial products from The Face Shop. I started using these products and my skin glowed. Seriously! People would ask me, "What products do you use? Your skin looks amazing." I was able to purchase the same items in China because, well they aren't that hard to come by considering South Korea and China are neighbors. After I came back home though, the products were a lot harder to find. When I ran out, I was devastated. I found people selling them on ebay but I was weary about buying them through ebay because I know people sell fake products and I didn't want to be putting God knows what on my face. Recently I've been seeing a lot of articles and posts about Korean Beauty Products. Brit + Co posted an article about them (they deleted the article though, I don't know why) & Refinery 29 had a post about them too! It was the Refinery 29 post that led me to new websites that I now adore! First there's Soko Glam. I love this site. They are so informative when it comes to the products they sell and then some. They're based in the USA. They've been featured on different websites and in magazines like Allure. I really like their site and plan to buy from them soon. Then there's KollectionK. I about fell out when I saw their site. They have a lot of products. They have very cute products too especially from Etude House. You must check out these products! They are super cute! I had bought some products from another website, Korea Depart, two weeks ago, but I could not resist buying something from these new websites I recently stumbled upon. So I'll show you what I purchased! Isn't this the cutest thing you've ever seen? This is a facial mask from The Face Shop. It is an overnight mask but it also can be used as a 15 minute mask. It is meant to leave your face feeling hydrated and rejuvenated in the morning. I am super excited to use this product and I can't wait for it to come in the mail! I'm excited to use this product. I've used the moisturizer before and worked wonderfully on my skin so hopefully this one does too. This has done wonders for my face! I can't wait to start using it again! 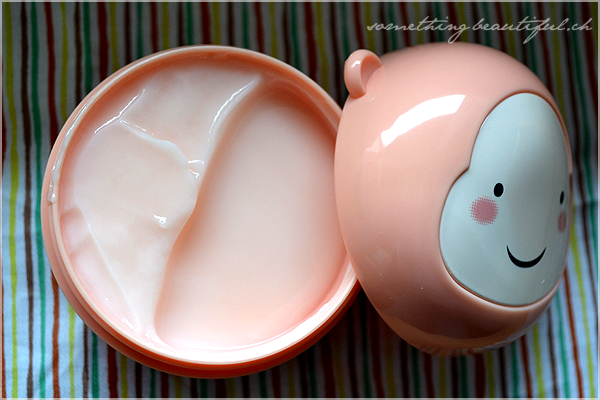 It's not too runny and yet it keeps your face nice and moisturized. I have used some of their White Tree products in the past. The one I used was discontinued so I figured I'd buy this one. Hopefully it will work just as good, if not better. I am so excited about this product! It is so cute! It serves multiple purposes. I got the "Peach Sugar Cake" color/flavor. I can't wait to try it out and show you guys. I love using face masks. It wasn't until I went to Asia and I saw lots of masks like these. I bought the Lemon one which is supposed to brighten and clarify your skin. I'm really excited to try this product. They've sold over 5 million of them. I keep reading that "essence" should be a key product you use in your facial regiment. I also bought the trial size set of these products. I can't wait to use them. I've been wanting to try this out for the longest time. It's gonna be weird because my feet are gonna peel but hopefully my feet will be super soft afterwards. These are the cutest things ever!!! I've never seen anything like them. I can't wait to take pictures with them in my hair! They are adorable! I couldn't resist buying them! I'm very excited about my purchases and I can't wait until they come in the mail. I will definitely be doing reviews on the products I've purchased and of course I will be taking pictures of them. Have you used any Korean products? If so, which ones? Do you like them, love them or (heaven forbid) hate them? Let me know in the comments below!